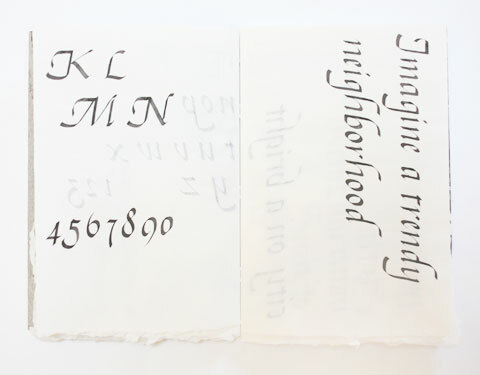 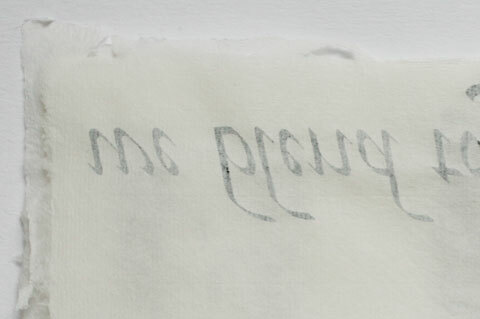 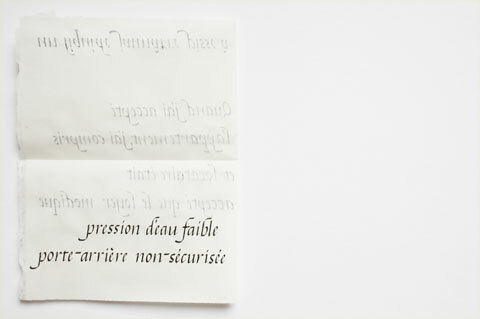 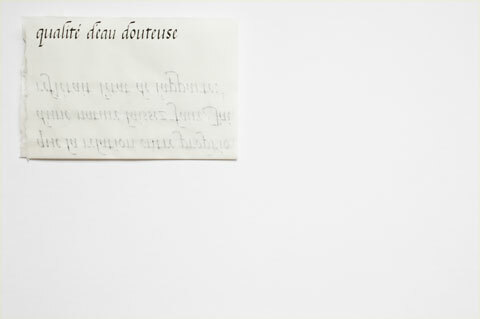 Written with 1.5,2 and 3 mm 'Brause' nibs on Saint Armand handmade linen paper. 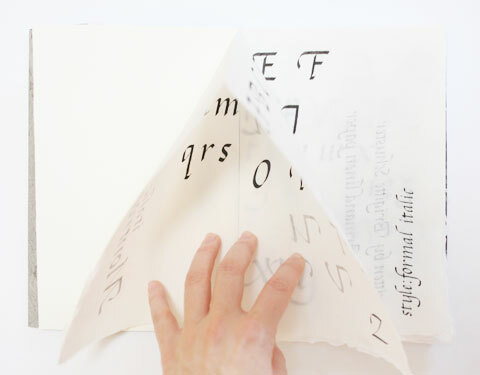 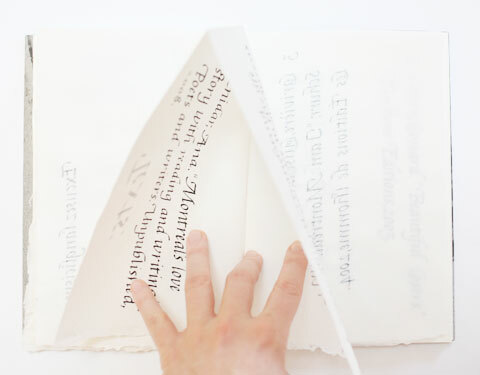 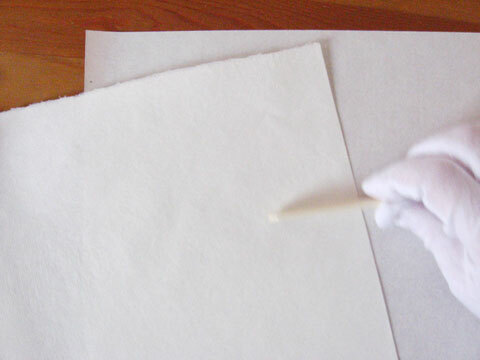 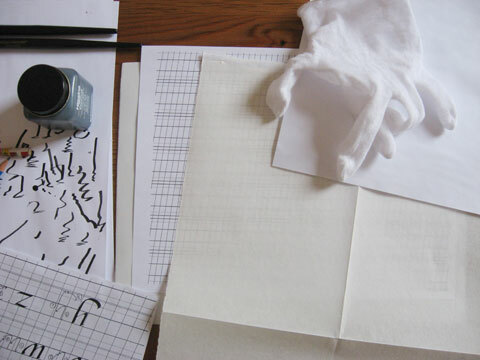 The transparent property of the paper is explored by using different sizes, line-heights and an interesting layout. 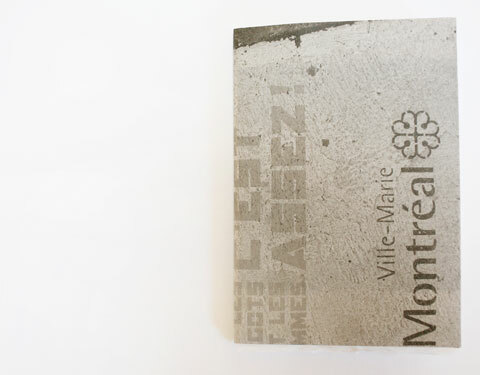 I used texts about Montreal’s immigrants, washhouses, living, fiction, winter, and language – all written by Montreal authors. 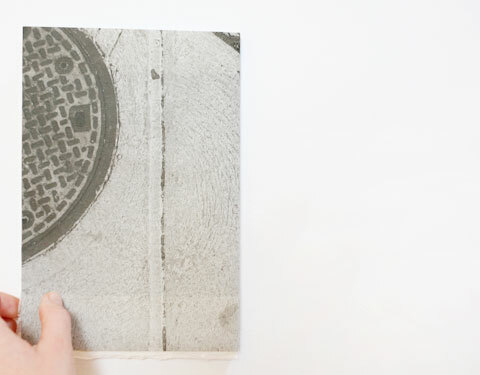 The cover is wrapped with an inkjet printed poster of a photograph taken in Montreal. 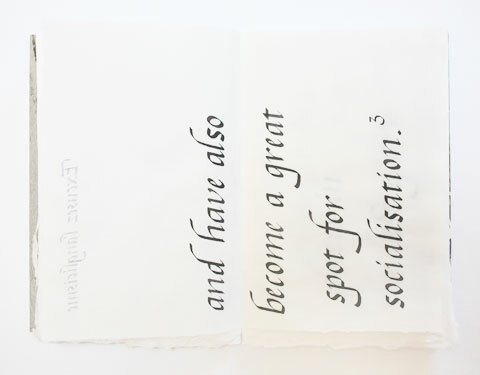 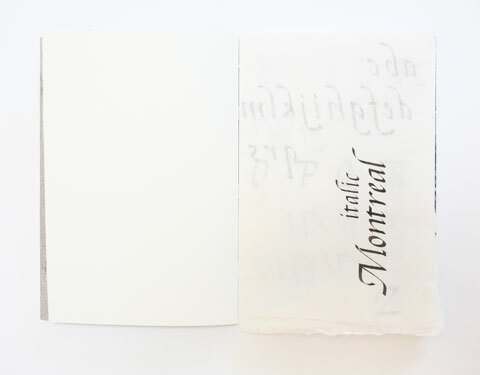 This is a self-initiated project following a 10 week "italic" workshop with Marco Chioini. 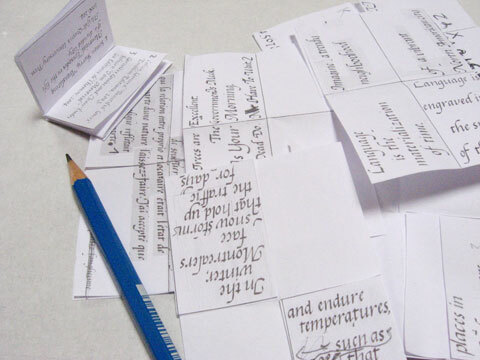 Miniature mock-ups were useful to plan the layout. 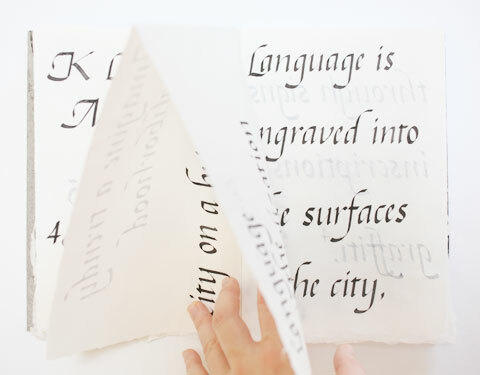 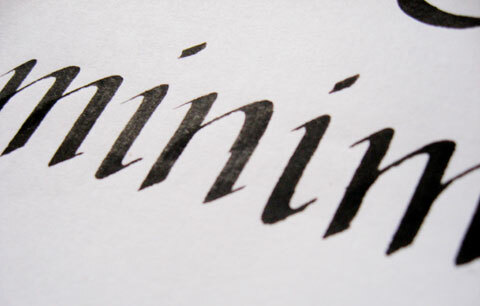 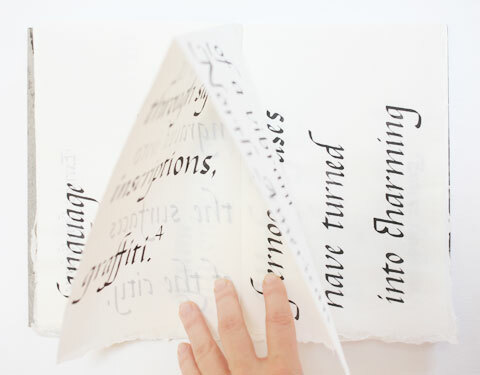 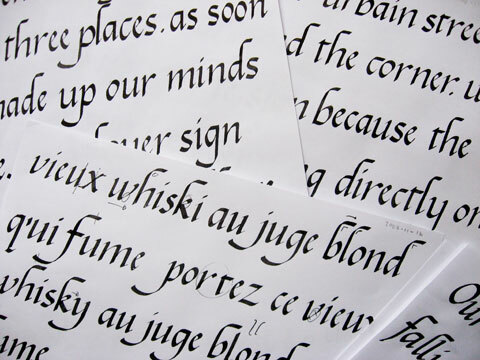 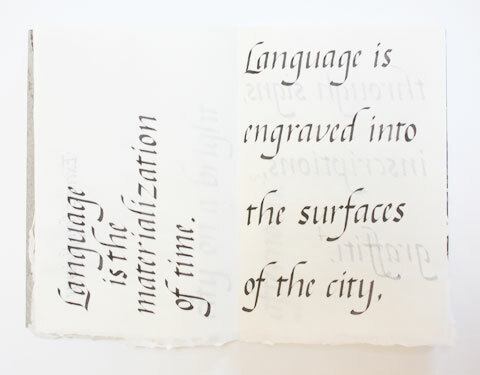 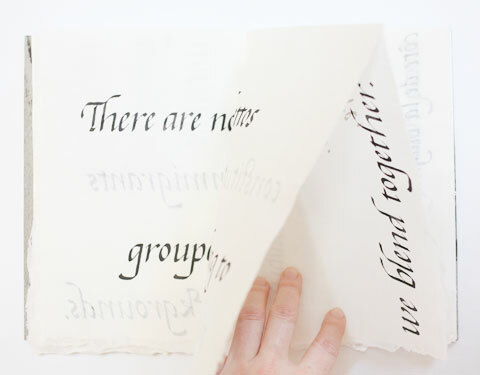 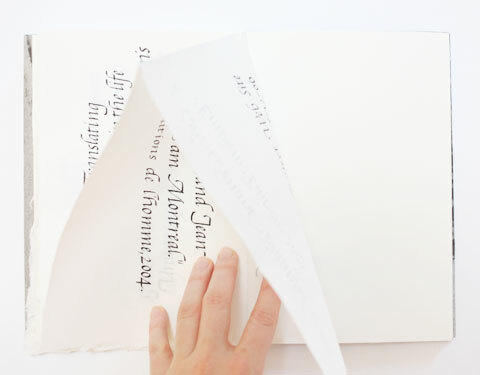 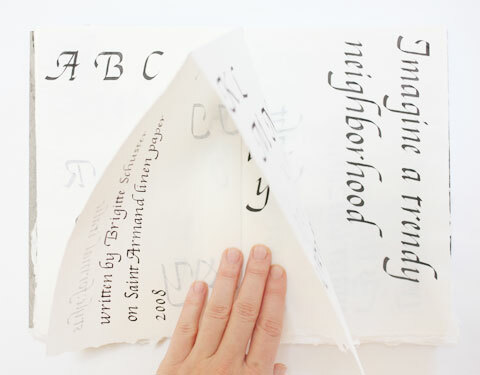 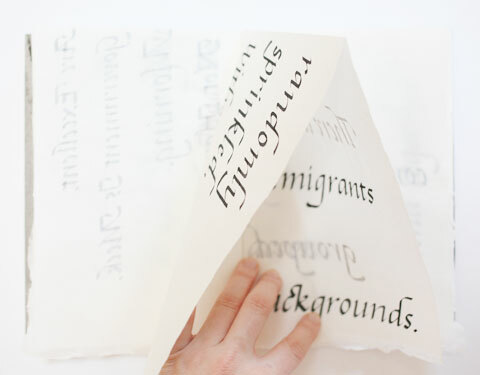 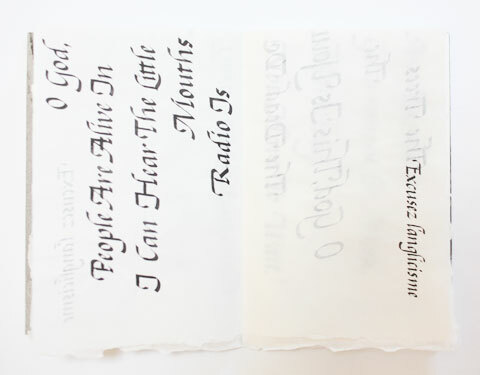 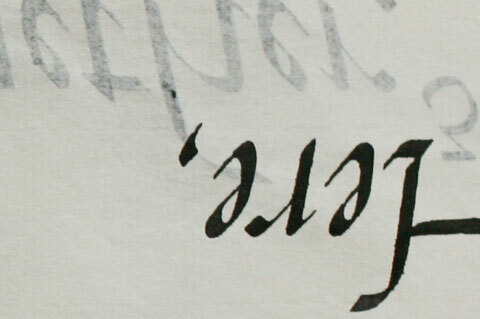 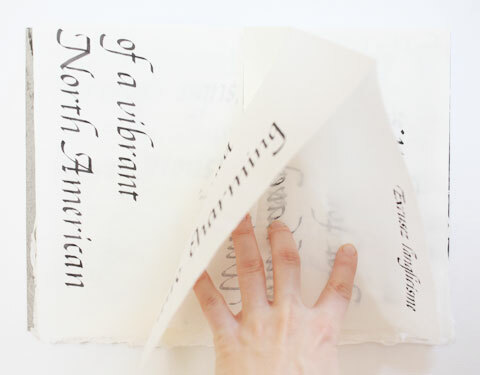 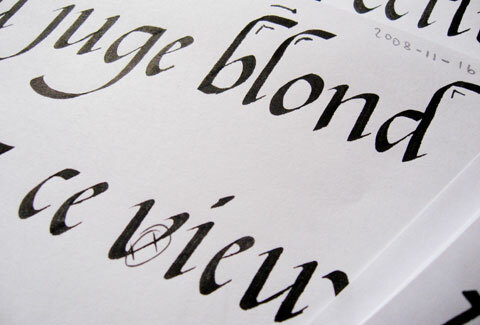 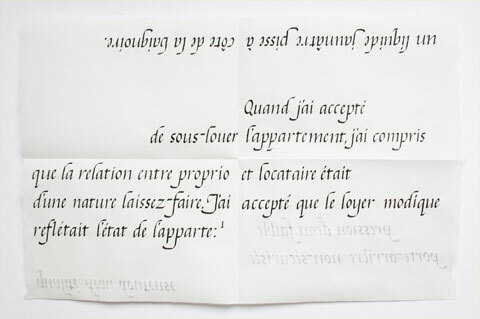 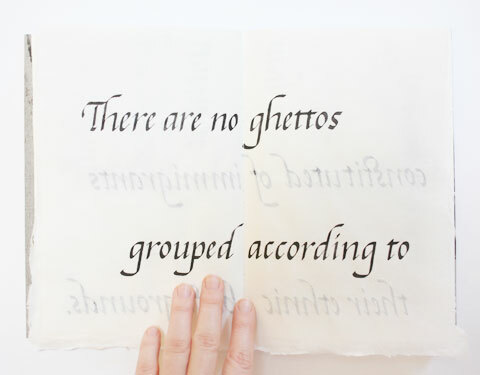 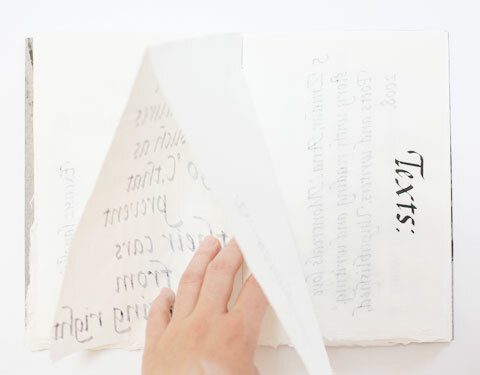 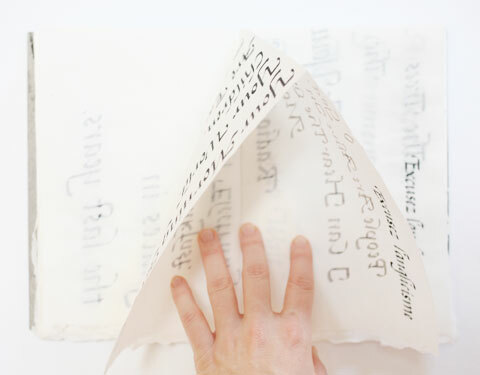 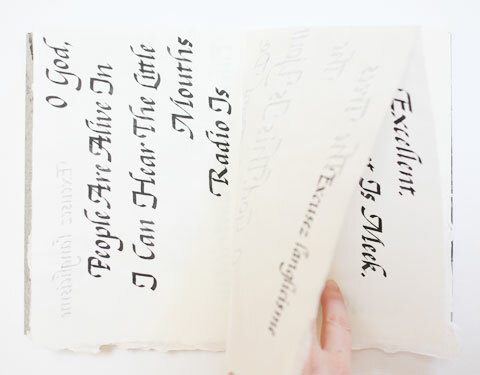 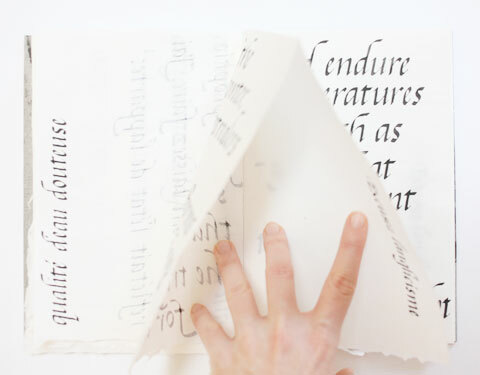 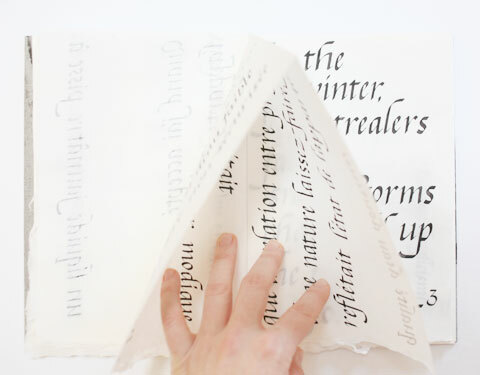 Calligraphic writing has been scanned and layouted in photoshop before being printed in small size. 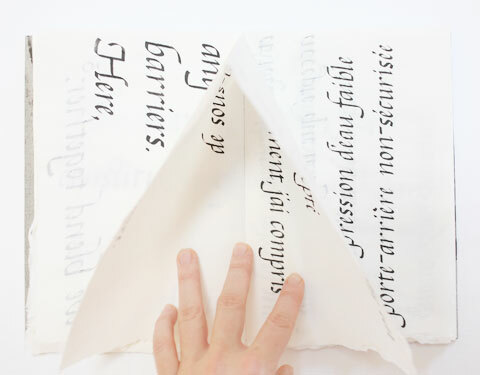 Raw sheets of 12 x 18 inch are folded in 4 parts. 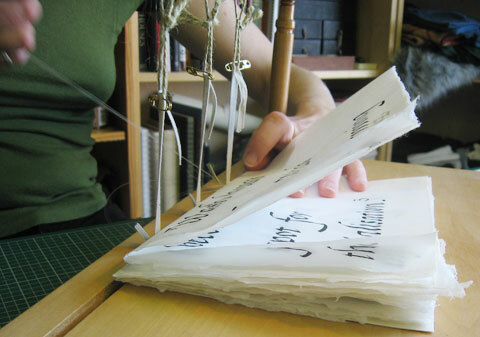 Old books, which needed to be opened when they were new, inspired me to keep the 12 x 18 inch sheet in its full size. 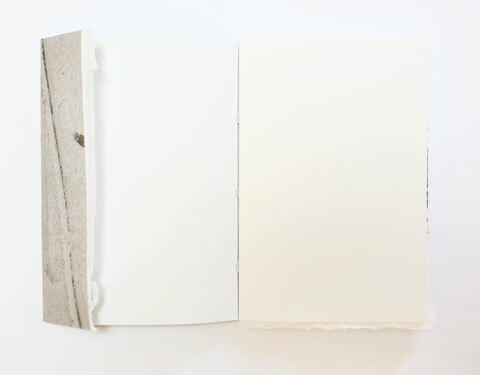 I wonder if someone will ever open the book pages.